Now what stag weekend is complete without some beer? There is nothing more refreshing then a high quality beer. And when it comes to the stag weekend you should make sure you are drinking only the best beers around, luckily for you we have scoured high and low to find out the worlds coolest beers for your stag weekend. So make sure you take a look at this list and find at least one beer that you are going to make sure you include. Who would’ve thought it, a bacon flavoured beer. Well Hogsback Brewing Company did, this rich and creamy stout has sweet caramel and roasted malty notes with a delicious taste of bacon within. This smooth, dark beer is the perfect addition to your weekend. Beard Beer is brewed by Rogue Ales and is brewed with a yeast that was created from John Maier’s (the brewmaster) beard. Don’t freak out though, brewers have used wild yeasts when making beers for centuries, you will be shocked when you try it. Another created by Rogue Ales, the Voodoo Doughnut Chocolate Peanut Butter & Banana Ale may be a mouthful to say but this fruit beer is a unique artisan creation containing everything sweet and amazing. 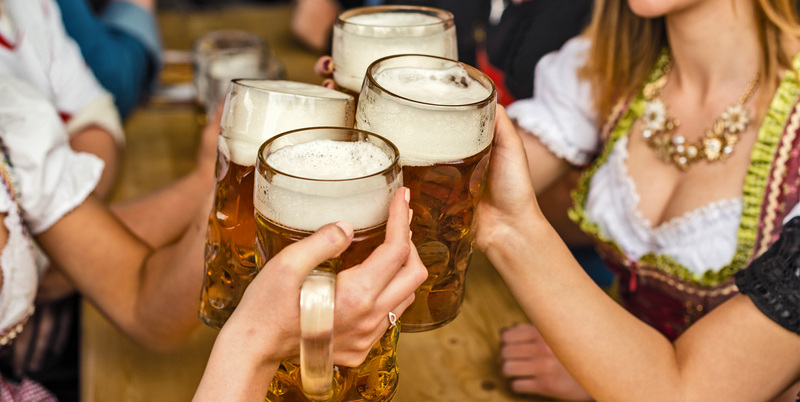 Check out some of out stag do activities and locations to include with these beers. Ah, the legendary Duff Beer brewed by Eschweger Kloster­bra­uerei. Just the fact that it is featured on The Simpsons would make anybody want to try it right? Snake’s Venom is brewed by Brewmeister and known as the world’s strongest beer. And trust us this beer packs a punch simply because it does have a 67.5% rating. And don’t blame us if you have a The Hangover style stag because of a bottle of this. This beer is an American take on the British porter style, brewed by Gonzo Imperial Porter, this chocolatey beer backs a fruity raspberry punch. Whilst still being deliciously creamy. Cloudwater Brew Company have created NW DIPA Citra which is an imperial IPA which showcases the yeast from one of Manchester’s oldest family brewers, cool right? No this isn’t the game you used to play at school, The Lost Abbey/Port Brewing Company have created a sour/wild ale made of naturally occurring yeast. An apple, citrus and crisp taste makes this beer one of the most sought-after beers that this brewery creates.